Seriously! Where is spring? It’s officially spring but all I see outside now is sleet and snow! Last year around this time, I was sitting under a cherry blossom tree having a picnic under the sun. This time it’s more like a hot cup of tea under a duvet instead. And what is even more depressing is the lack of flowers. The daffodils are struggling to bloom and I have not seen any cherry blossoms in London! 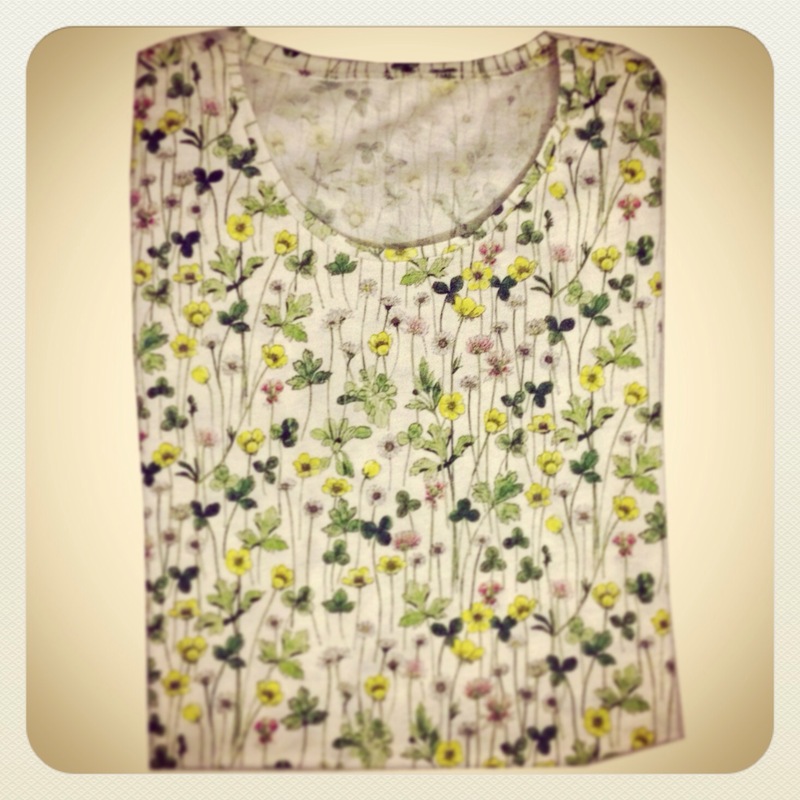 I guess I can always dream or better yet, invite spring in with a new T-shirt that I’ve just sewn. I saw this lovely Liberty ‘Josephine’s Garden’ floral print jersey the other day but at £33.50 a metre, it was way too expensive. But after the miserable weather we have been having and the lack of any happiness, I decided it was a small price to pay for my sanity! The cotton jersey fabric has a very nice touch to it and feel very lush on the skin. And strangely, it smelt like a good friend of mine! They also had it in red flowers instead of the yellow but somehow the yellow spoke to me more than the red. I can’t wait till spring arrives and I can be wearing T-shirts and shorts. Failing that, I can’t wait to go back home to Malaysia for the sun! But hopefully the weather reads my blog and gets the hint!